Movement Conservatism has been described by Paul Krugman as "the potent alliance of wealthy individuals, corporate interests and the religious right that took shape in the 1960s and 1970s." 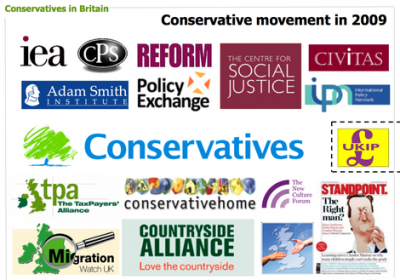 In Britain, Tim Montgomerie, has described the conservative movement as "the infrastructure outside of the party that supports small 'c' conservative values." ↑ Paul Krugman, The Great Revulsion, New York Times, 10 November 2006. 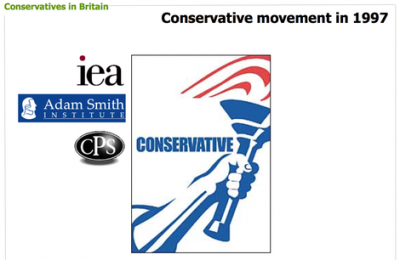 ↑ 3.0 3.1 Tim Montgomerie, The growth of Britain's conservative movement, ConservativeHome, 14 March 2009. This page was last modified on 14 May 2012, at 19:38.